A new McSORLEY'S WONDERFUL SALOON for Cape Town-based design and interior studio, OKHA. 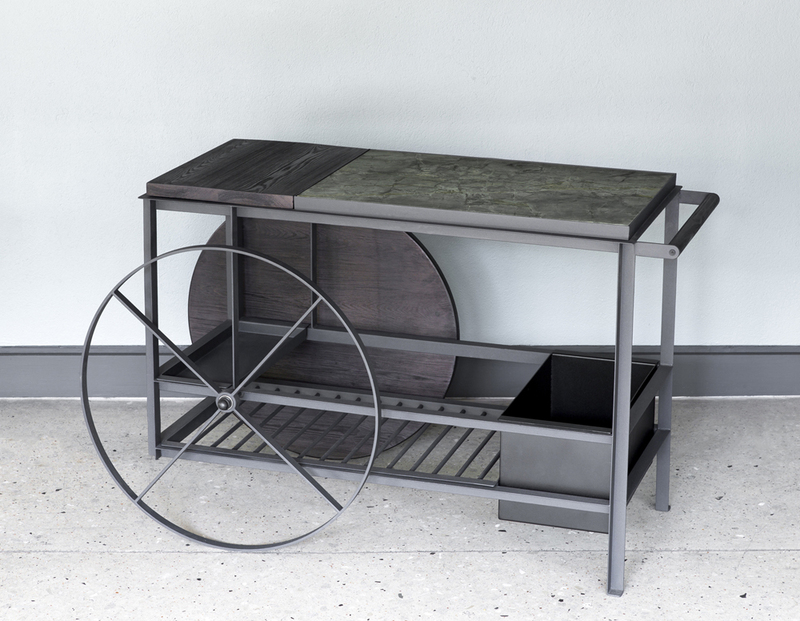 The unique portrayal of the much loved drinks trolley has a steel angle frame finished in a textured coating, with a bottom grating and folded steel tray for bottles; and a new addition of a tumbler shelf. 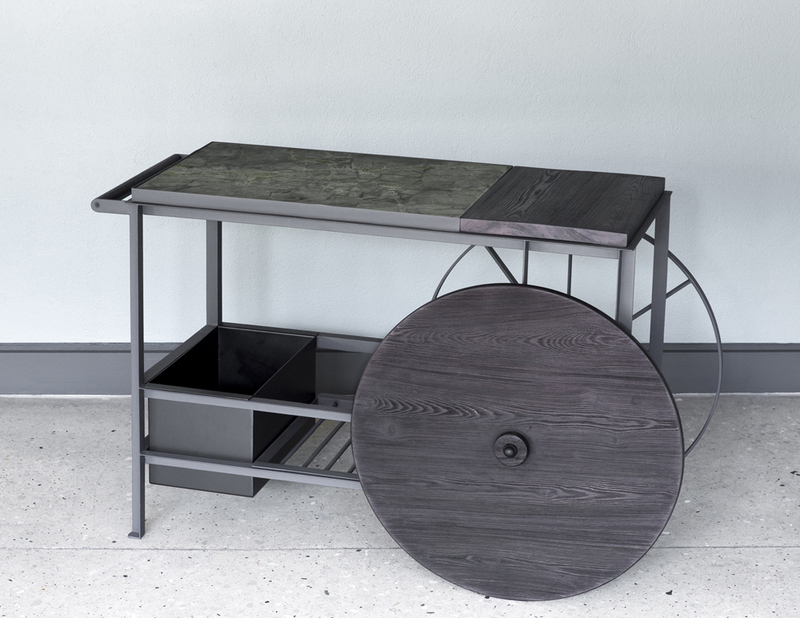 The dark grey colour palette of the industrial steel components are juxtaposed and enlivened by unusual natural materials. A solid timber wheel and inlay tray in Siberian Larch is treated to emphasise the intricate texture of the wood. The 'Verde Magnifico' marble top has a opulent grey-green body with bright golden veins. The trolley is named after one of New York’s oldest bar, McSorley’s Old Ale House. Items are crafted in Cape Town in small quantities, and individually labelled and numbered upon completion. McSORLEY'S WONDERFUL SALOON for OKHA is exclusively available from OKHA.